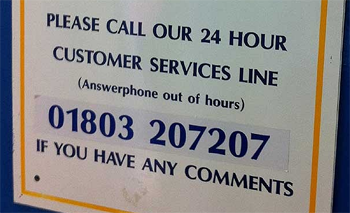 The level of customer service through-out England is simply appalling. The customer only comes first when it’s time to pay and for the rest of the time they can be considered to be simply a nuisance. Actually the appalling customer service is something that the English have given to almost every single airline in the world. If you have travelled on an aeroplane recently you’ll know what I’m talking about. I can’t understand why airlines expect travellers to arrive up to three hours before their flight and then begin a series of long periods of waiting interspersed by short bursts of action when for example a message on a tv screen announces that it’s time to board, when in truth it’s really a message to ensure all passengers assemble at a collection point close to where an aeroplane might be waiting but more likely hasn’t even arrived yet.